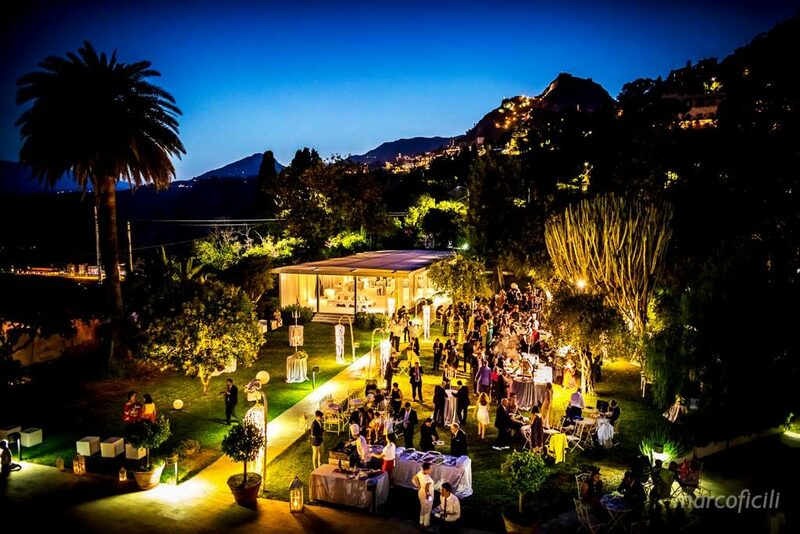 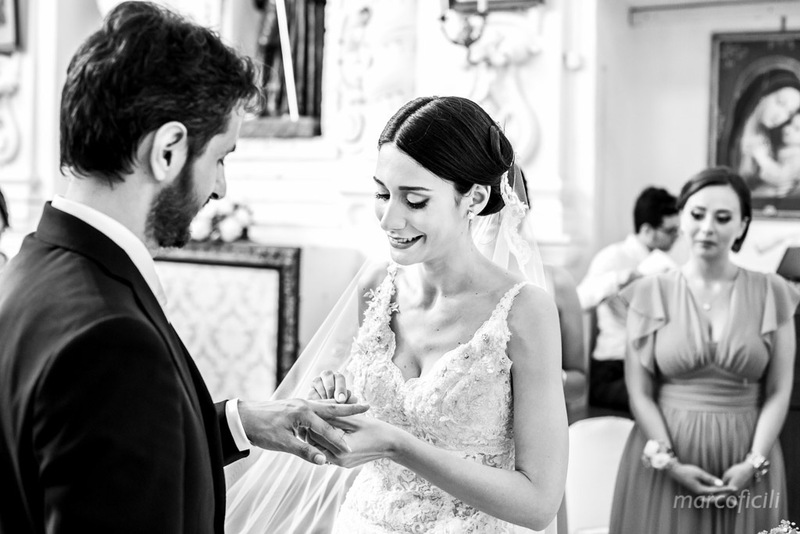 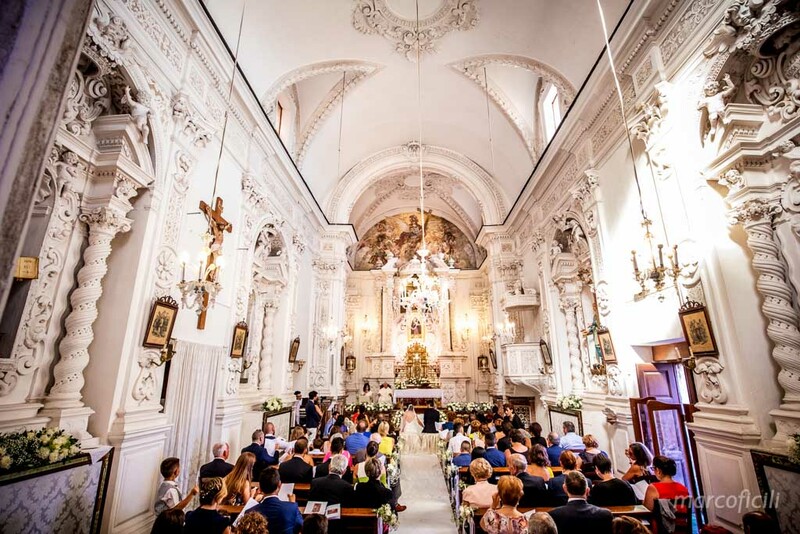 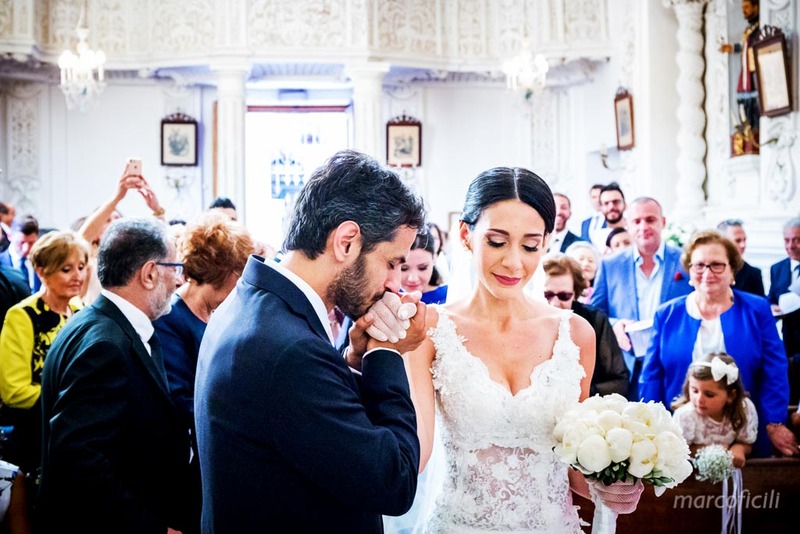 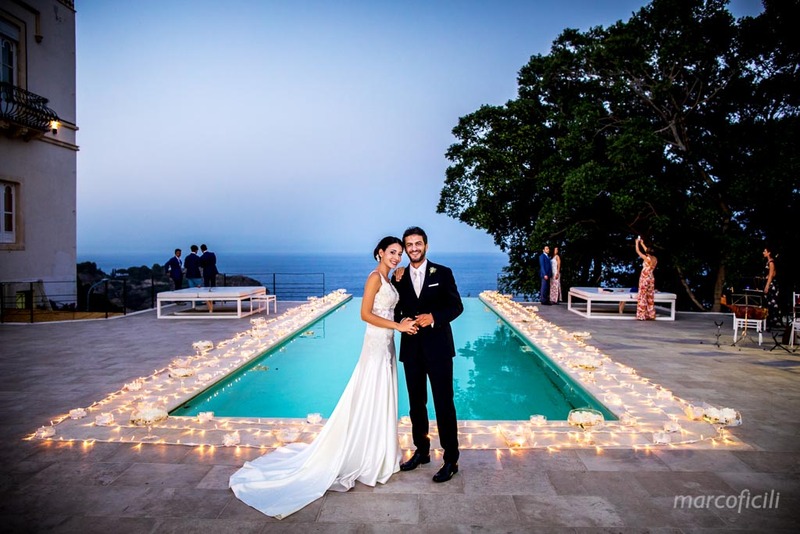 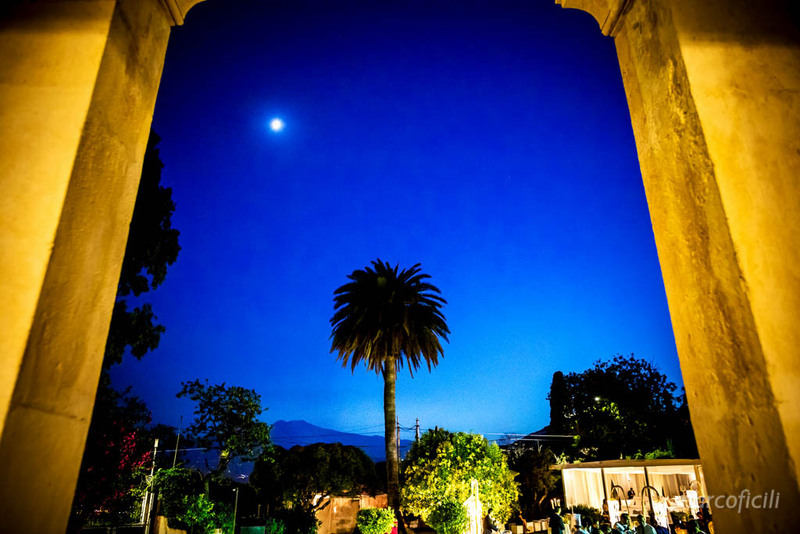 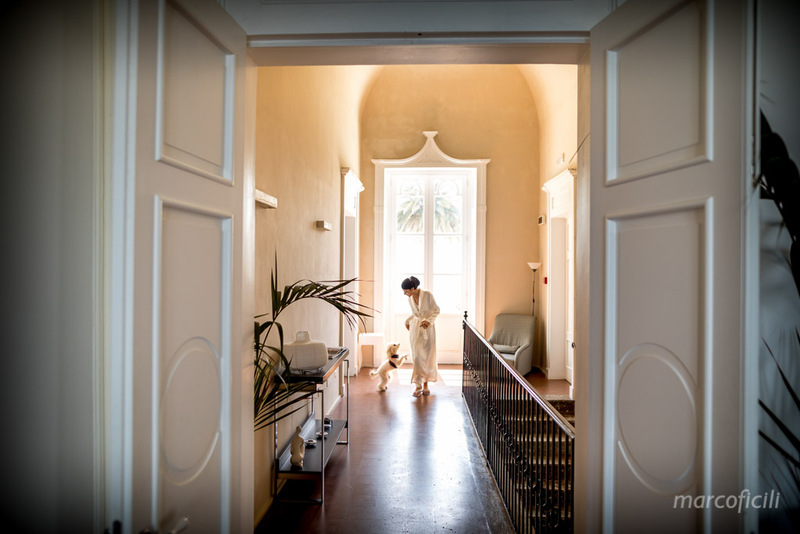 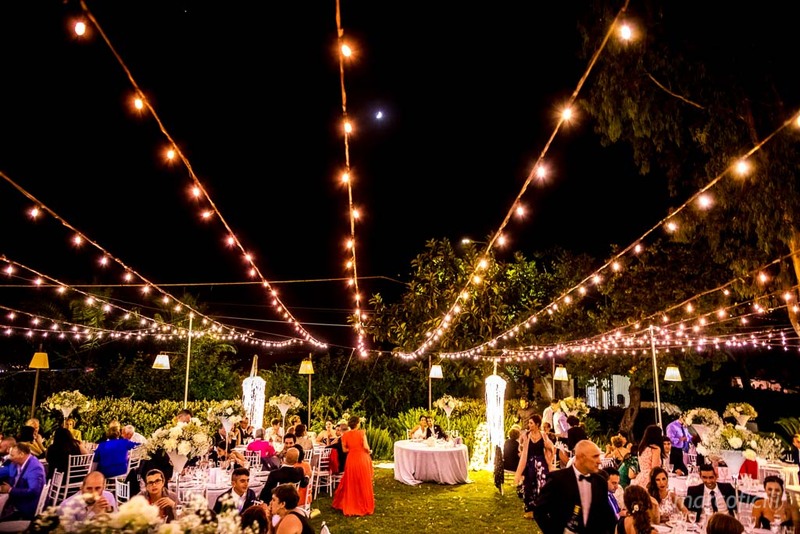 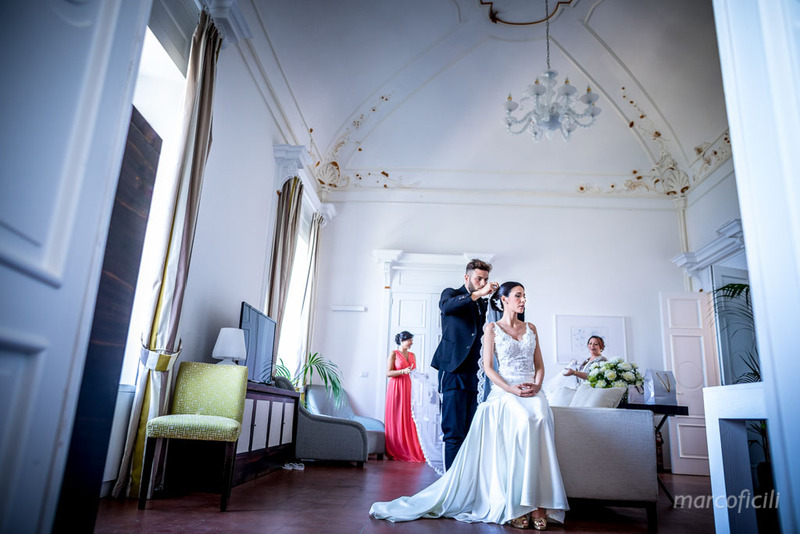 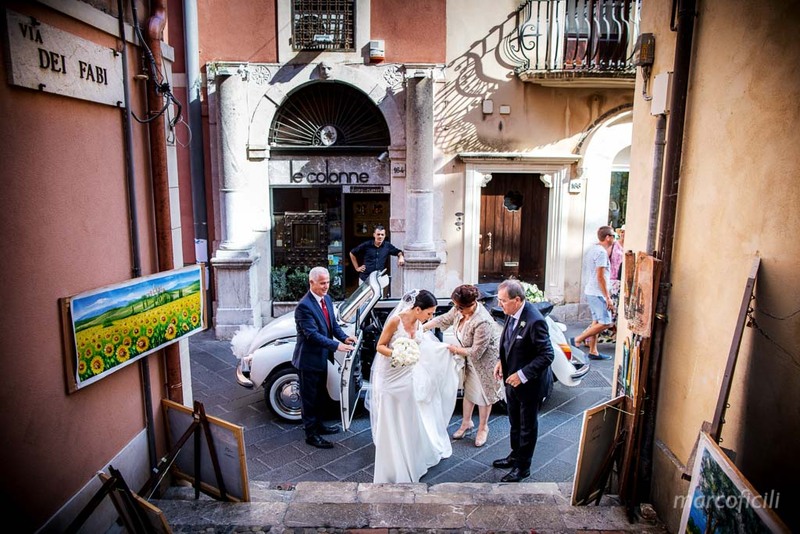 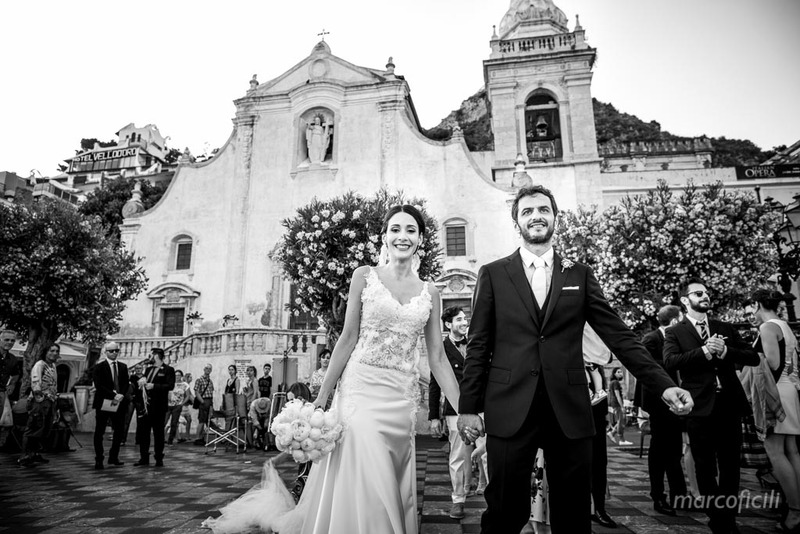 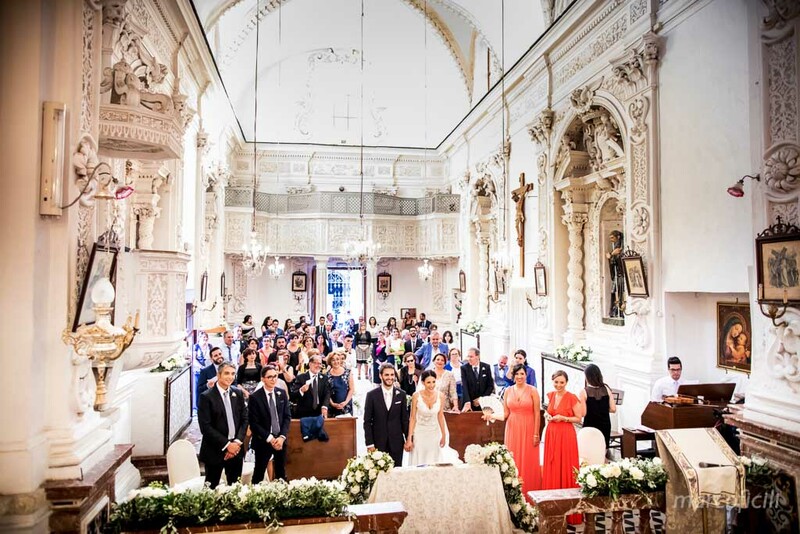 Villa Mon Repos Wedding – Giuseppe and Paola were utterly seduced by the beauty of Villa Mon Repos in Taormina and they have also chosen the picturesque, antique little Church of Varò, hidden amongst the alleys of Taormina, to celebrate their Sicilian Wedding. 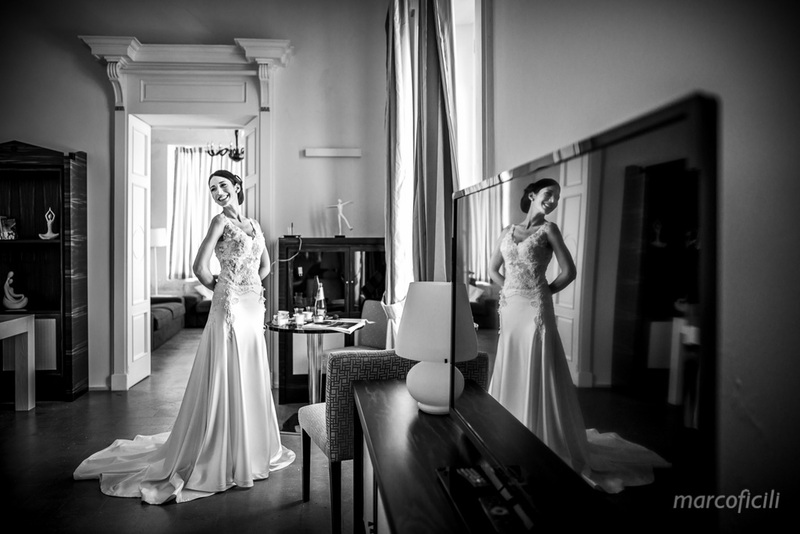 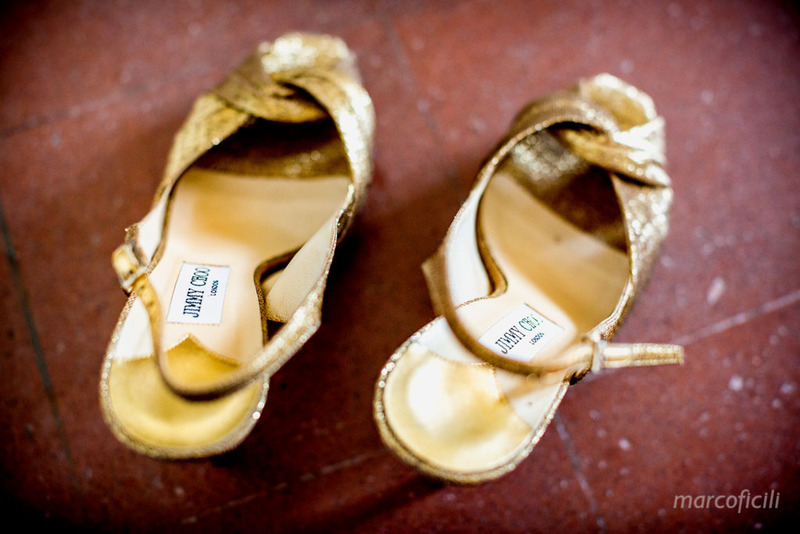 Paola got ready in the luxury rooms of Villa Mon Repos. 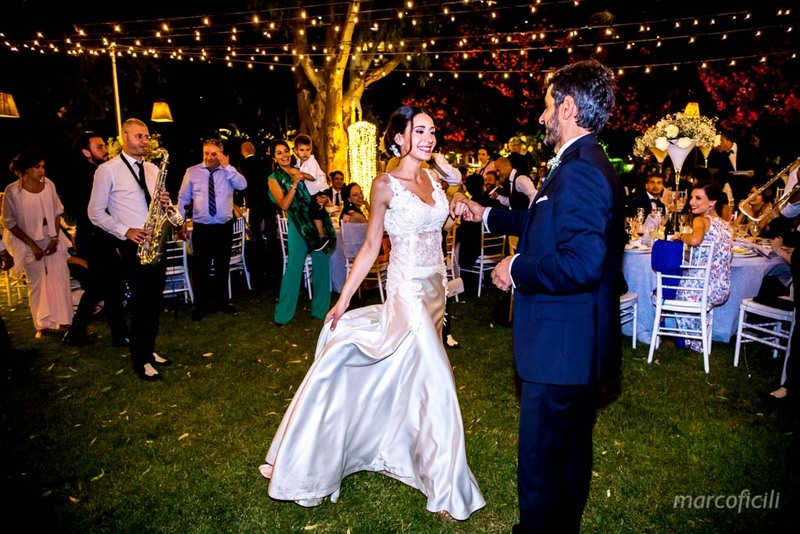 She chose a stunning white silky gown with beautiful intricate beading embellishment extending onto the back of the gown. 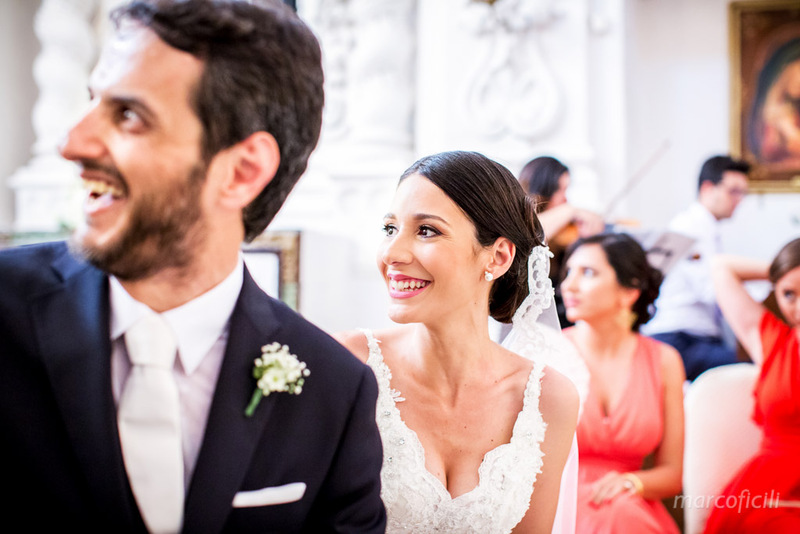 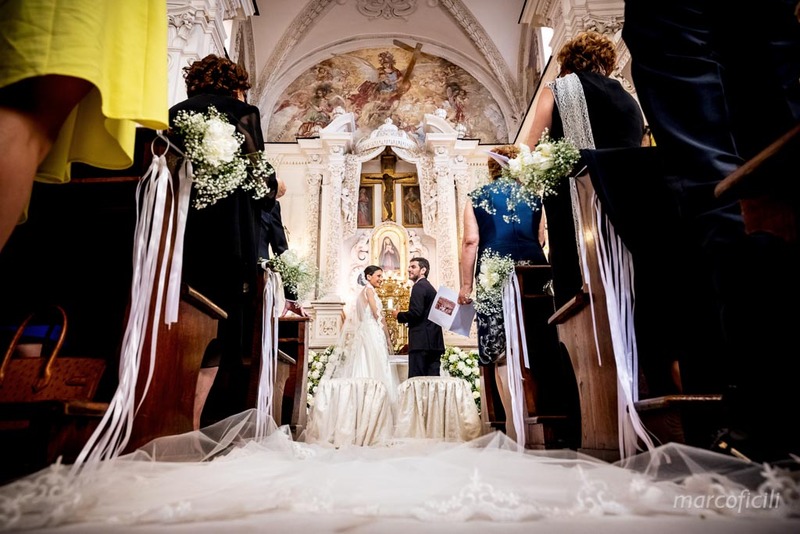 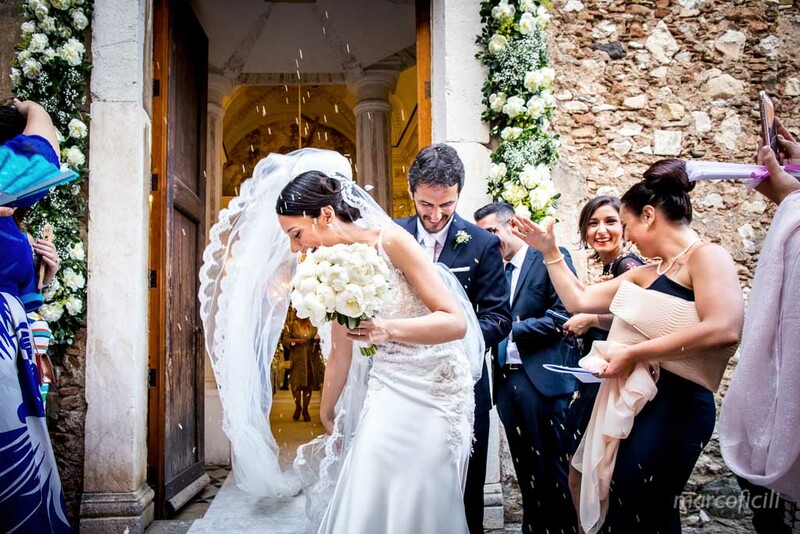 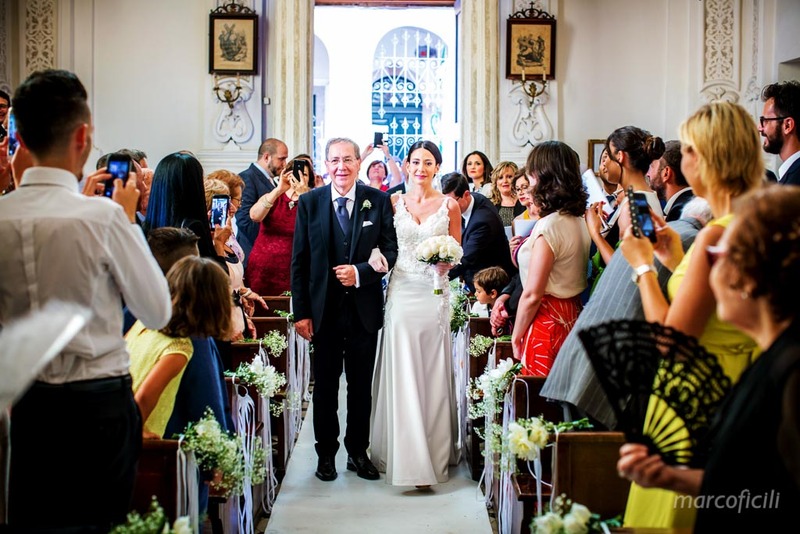 The elegant dress was set off by Paola’s long veil – simple and elegant – creating the perfect image as she floated down the aisle of the beautiful church with his father. 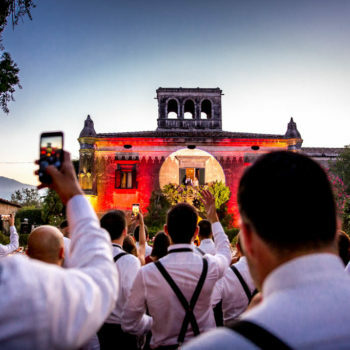 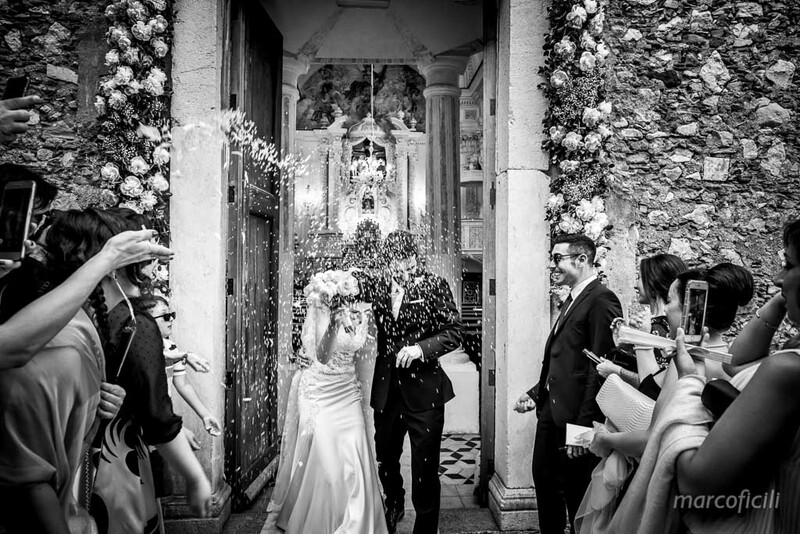 At the end of the ceremony, just outside the church, the newly married couple found a great surprise: a true Sicilian throwing of flowers’ petals! 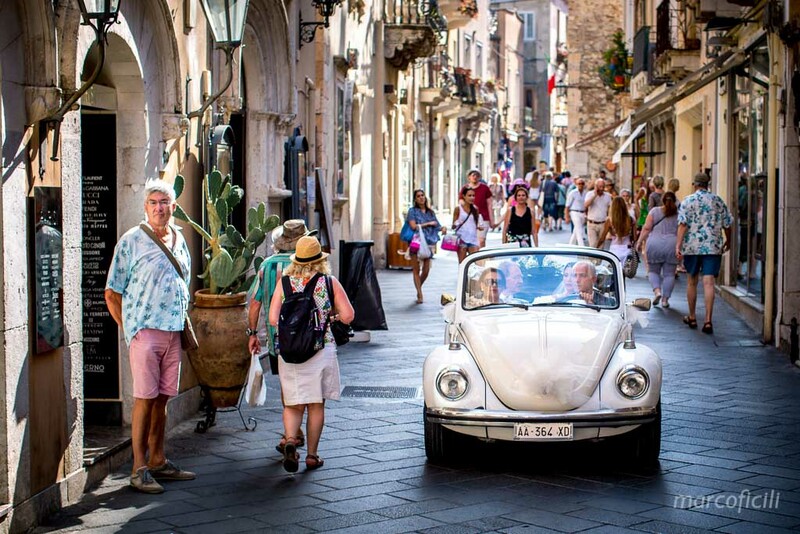 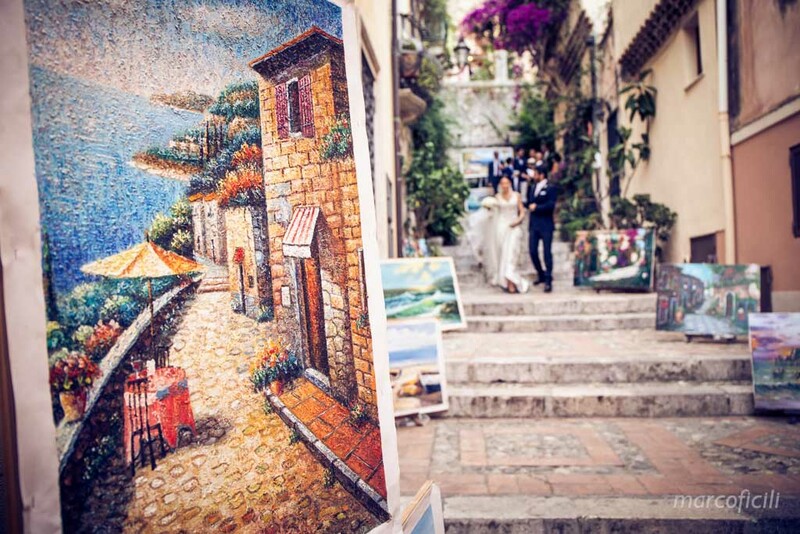 And right after the traditional group photo, they walked down the lovely alleys of Taormina to reach Villa Mon Repos. 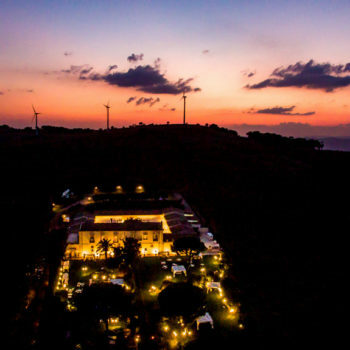 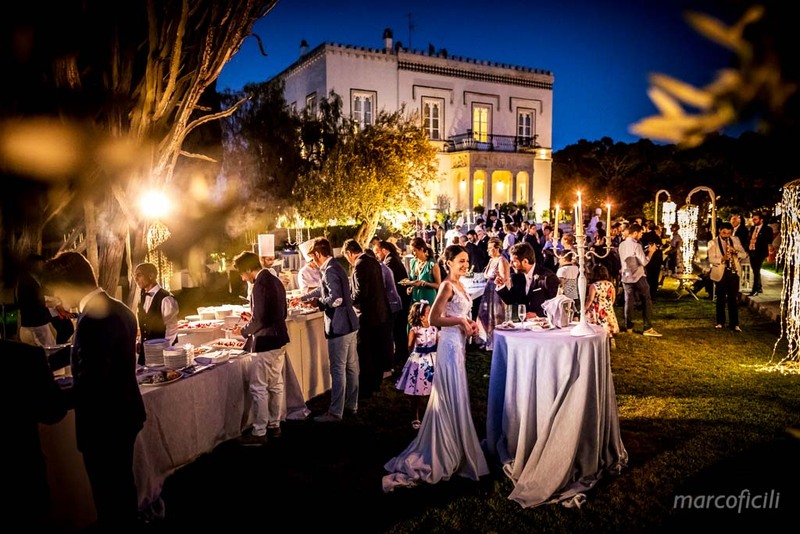 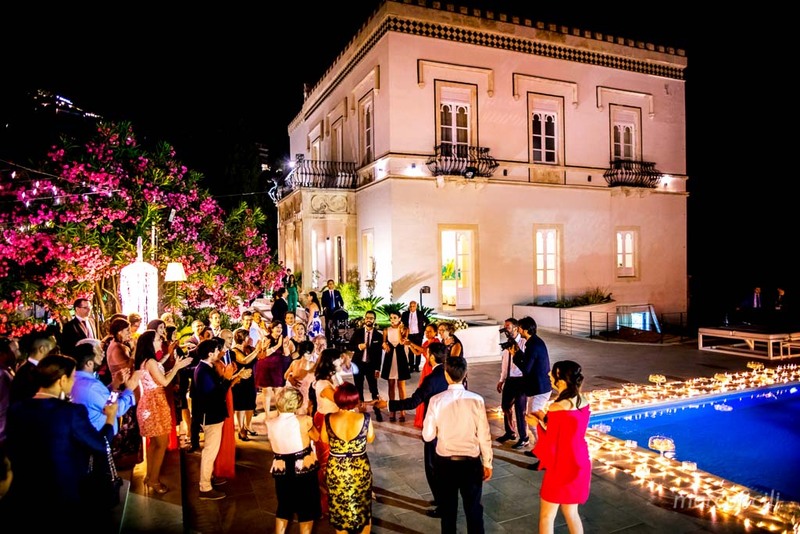 Welcoming the newlyweds, friends and family enjoyed the wedding dinner in a beautiful garden, where they celebrated their wedding party with the beautiful view of a glorious sunset. 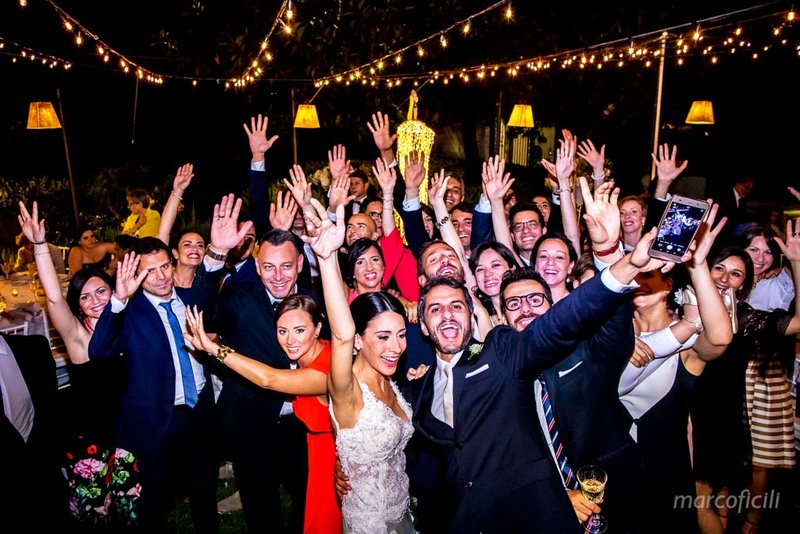 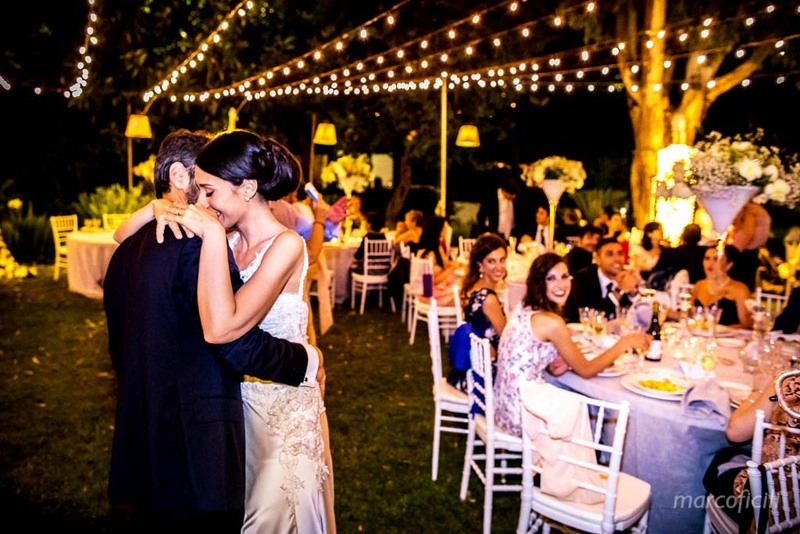 After the wedding cake cutting, Giuseppe and Paola with friends and family danced the night away, ending a wonderful day in a perfect way! 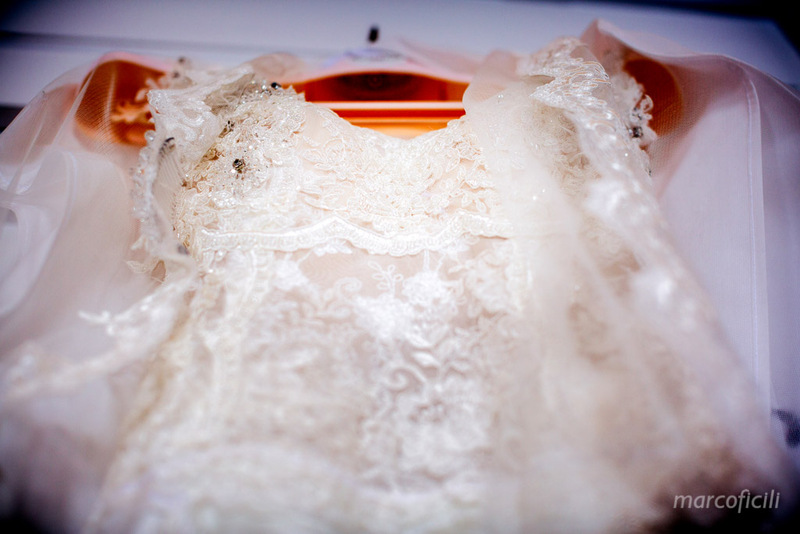 A day to treasure forever.